Fingersoft Ltd. has released Hill Climb Racing 2 for iOS and Android devices. 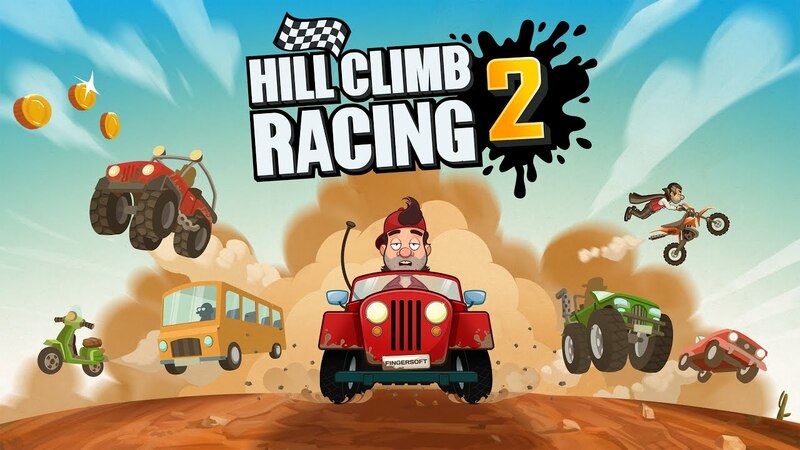 Hill Climb Racing 2 is the sequel to the driving game that had millions of downloads on the App store and brings back the lovable character Newton Bill. As you would guess, Hill Climb Racing 2 is a game that has you racing your way over hills in various transports while collecting coins and points. The player is always on the lookout to beat their previous record with each new race. While the new release can be buggy at times, it has definitely improved in regards to gameplay and graphics over its predecessor. Gravity is very loose in Hill Climb Racing 2 and this allows you to perform some awesome tricks as you make your way across the map using only the gas and brake pedals to guide you. As you play, you can unlock new vehicles that can make driving a little easier and new items to decorate your character. However the biggest new addition to Hill Climb Racing is the addition of race mode with the Cups challenge. In the Cups challenge, you face off against three other players adding a great deal of replayability to the game. In the end, Hill Climb Racing 2 allows you to face a slew of new challenges taking place in fun environments with a variety of cars. Newton Bill defies all the rules when it comes to physics allowing players to race their way across the hills.